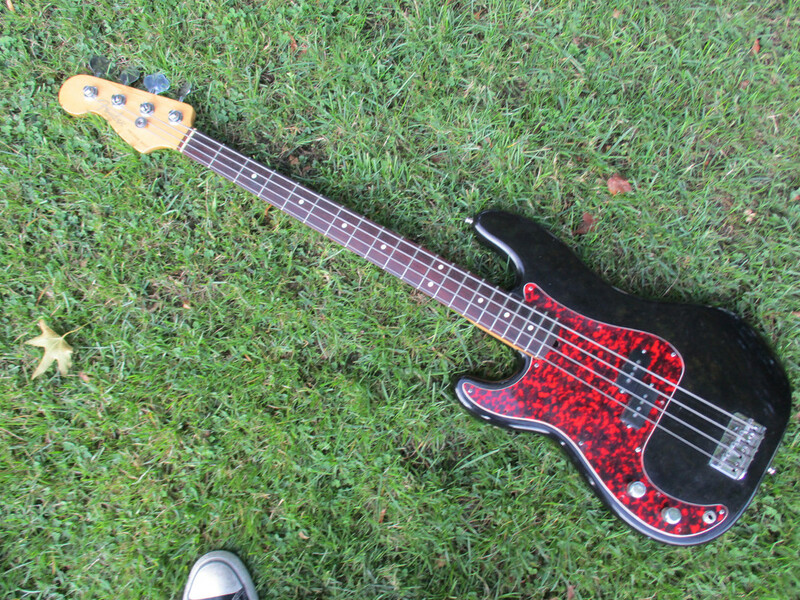 I'm selling my P Bass. Its all original (original pickguard is included). I'm selling because I bought a '77 Fender P.
I ask €800,- for it. That's about 710 Stirling.